Alex is a motivated, proven leader who can create the vision and business strategy for organisations. She has demonstrated experience in developing high performing teams, exceeding targets and managing complex, cross-border businesses. She provides our clients solid, practical mentoring and stewardship based upon years of leading multi-cultural workforces. Alex has had a distinguished career within the telecommunications industry in Asia Pacific, including Managing Director Singapore, Telstra Corporation, General Manager Singapore, Worldcom and Director of Customer Service and Operations, Cable & Wireless Asia Pacific. Key to her success has been her coaching capabilities. Her approach to coaching both individuals and teams has a strong emphasis on results, but also incorporates the understanding of the individual’s personal context. She has a powerful ability to help individuals identify and remove the self-limiting beliefs that can be holding them back. She uses structured approaches, psychometric tools and measurement criteria to ensure the objectives of the coaching and training are met efficiently and effectively. 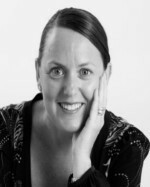 Today, as an executive coach and facilitator, Alex is able to combine her rich work experience, cross-cultural attunement and business acumen in her work with clients to focus on changing behaviours and improving business performance, be it coaching around leadership and management, business development, change, communication skills or team dynamics, or career development. Alex holds a lecturing position at Singapore Institute of Management, where she lectures on “Entrepreneurship” in the Bachelor of Business (Management) programme. She has resided in Singapore since 1995, and is married with 2 children.